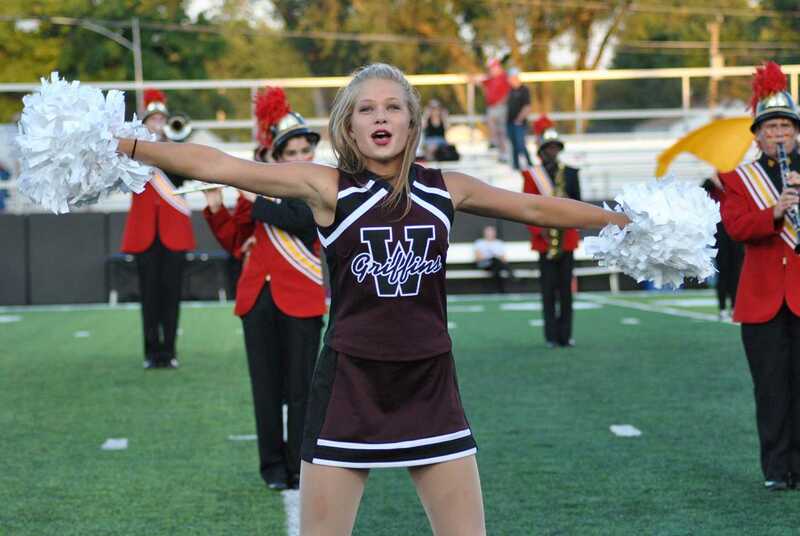 Sophomore Christine Harpe dances before the homecoming football game on Sept. 23. What do the Griffinettes do? : The Griffinettes dance team attends football and basketball games as well as assemblies throughout the year to showcase their talent and pump up the school. They also attend regional and state competitions for hip-hop, jazz, kick and pom styles of dance. When do they meet? : Practices vary throughout the year. Tryouts start on April fourth.